Logan’s story takes place in a dystopian future of the X-Men universe; 2029 to be precise. Most of the other X-Men have died off, and, mysteriously, no new mutants have been born in decades. Logan (Wolverine) and Professor Charles Xavier are the last of the X-Men. They are old, tired, and just want to retire to a boat to live out the rest of their lives in peace. A new life free from painful memories and persecution. However, fate intervenes and nixes their plans when a desperate woman and her mysterious daughter, Laura, beg Logan to save them from an evil corporation with seemingly unlimited resources. Despite his best efforts, Logan gets dragged into one final adventure across the heartland of America. Mangold loosely based this movie on the comic story, Old Man Logan, but he really takes inspiration from old westerns and film noir, especially the western classic Shane. The film’s ending, in particular, is a touching ode to Shane. The movie’s cinematography matches its themes and tone exceptionally well, with its stark backgrounds, deep focus shots, and western iconography hinting at the arduous mission ahead. Like many leads of the noir genre, Logan spends most of the movie trying desperately to avoid inevitable doom. He knows how bad things can and will turn out for anyone he gets close to, as he’s seen most of his friends and loved ones die; but no one ever listens to him until it's too late. Mangold’s direction is superb. The action sequences are phenomenal and the film’s opening is particularly noteworthy in being a perfect tone-setter for the rest of the movie. I audibly said, “It’s about damn time,” upon witnessing the gory action of the movie’s first three minutes. I had long grown accustomed seeing sanitized cutaways of Wolverine’s kills in all the previous movies. The kills in the movie are brutal, violent, and grisly and the film does not shy away from showcasing its violence. The film also doesn’t overdo its action scenes and they are sprinkled nicely throughout the movie. Juxtaposing and anchoring the film’s intense moments of wanton violence is its fatalistic tone and the depth of the characters, which are a testament to Mangold’s excellent script. The film is not a happy one, and a sense of despair, regret, and decay saturate the movie. Logan is a broken man, physically and emotionally. His body is rotting from the inside out, his wounds barely heal anymore, and he just wants to die. Professor X’s greatest asset, his mind, has turned on him. A degenerative disease is destroying his brain and causing extremely harmful and dangerous seizures that can affect large numbers of people. His mind is classified by the government as a weapon of mass destruction. Hugh Jackman and Patrick Stewart are fantastic in this film, their father-son dynamic and the chemistry that they have together are brilliant. Equally great, is Dafne Keen, as Laura/X-23, who anchors the final third of the film with Jackman. She gives a fierce, yet surprisingly nuanced portrayal of the conflict between her desire not to kill and her urge for survival. Her growth mirrors the emotional turmoil Logan has gone through his entire life. Together they make an adorably dysfunctional, yet deadly, family. Disney is currently in the process of purchasing Fox, so perhaps this will not be the last time Jackman portrays Wolverine. Jackman once expressed interest in the Marvel Cinematic Universe, as well as maybe starring in a movie with Ryan Reynolds’ Deadpool. But if this is the last time we’ll see Hugh Jackman and Patrick Stewart in a X-Men film, then what a finish it is. Logan is a poignant, visceral, genre-defying superhero film. Logan is the best “serious” superhero movie since The Dark Knight, with its deft blending of the noir and western genres. 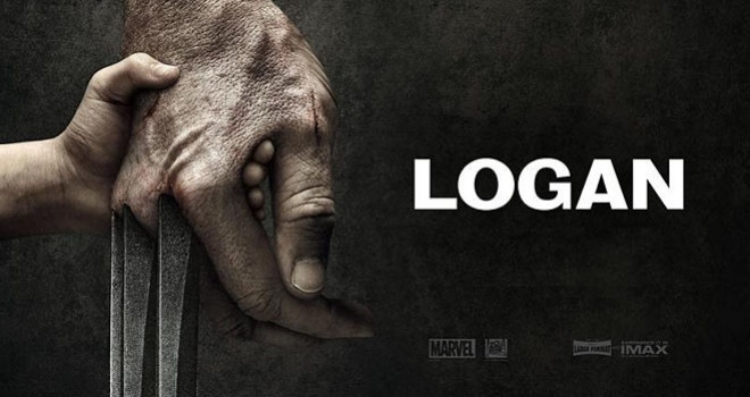 As of December 9th (2017), Logan is on HBO GO. If you’re one of the few people who hasn’t seen it yet, give it watch. You won’t regret it.